Hello Beauties! I hope you're all well? Today I wanted to share with you all an exciting discovery I've recently made. Well, I found it exciting...but I think that says something about what final year of Uni is doing to me haha. For months now I've been using the Original Beauty Blender to blend out my foundation and other cream products, so much so that it's now got to the point where I can't apply my foundation without it. However, the only downside is that every couple of months it needs to be replaced, even if you take good care of it and clean it, and it's now got to the point where mine needs replacing as it's starting to smell a bit funky (no matter how many times I was it!). With me being a student and attempting to be a bit more careful with my money, I can't really justify spending £16 on a sponge at the moment, so I took to Twitter to look for replacements. 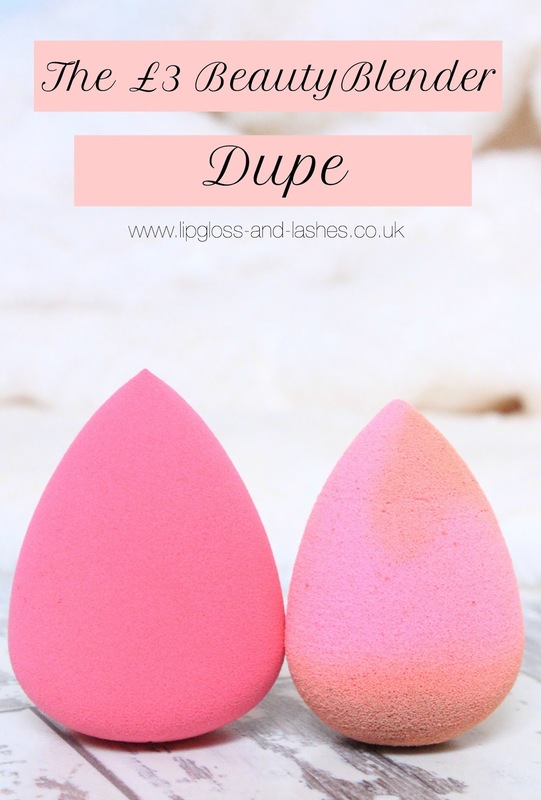 A lot of you had mixed opinions about the Real Techniques sponge so I decided to give it a miss, and then Alice from www.beautybyalicee.co.uk let me know of one she'd found on eBay that was a good dupe - so really this is her discovery, not mine! The sponge I bought was from Teardrop Beauty and cost me around £3 with free delivery - seriously, what a bargain! The sponge is bright pink, exactly like the Beauty Blender, and comes packaged in a velvet pouch. This is the only downside to the product compared to the Beauty Blender in my opinion, as I much prefer the plastic pot to store the sponge in, especially when it's damp. 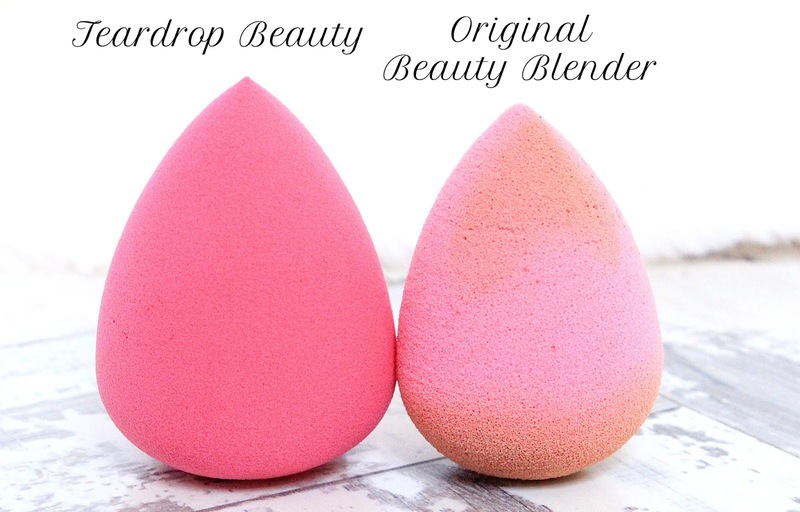 Just like the original Beauty Blender, the Teardrop Beauty Sponge expands when wet and is best used dry. One of the main problems I usually find with the cheaper sponges is that they're a little bit stiff and dense but this one is just as soft and squishy as the Beauty Blender, making it easy to blend your foundation in and achieve a flawless finish. If you're thinking about trying out the Beauty Blender, I'd seriously recommend picking this one up first. I ordered mine from eBay here, and it took around 2 days to come. Thank you so much for mentioning me! I'm so glad you picked one of these up and you're loving it so far, I need to order a new one ;-) great post. I've been meaning on looking into getting myself one but I think this dupe would look lovely to try out. Thanks for the recommendation Bevky and let you know if I try one. I really love a sponge for makeup application, but I have always tested out dupes because I do think the BB is overpriced. This is definitely one to look into! What a bargain. May have to look into this. Most of the Beauty Blender Dupes Ive used have been really stiff and very difficult to use as opposed to the softness of the actual beauty blender. Great to hear that this one is just as soft and is only £3. I've got the Real Techniques sponge and think it works really well, however this one sounds like a great option! I love my Real Techniques sponge and think it's the best way to apply fondation and concealer. When I'll have to replace it, maybe I'll take you up on that offer. Thanks for the info! Thanks for sharing this bargain with us! I'll definitely be getting one for myself.